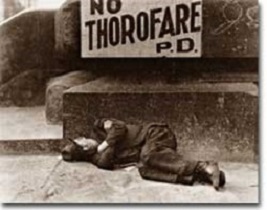 This photo, taken by Dorothea Lange, is one of the Depression's most well-known images. The woman, Florence Thompson, is shown with her children in a migrant farm worker camp in California. When the stock market crashed on October 29, 1929, few Americans believed that a decade long depression was underway. After all, only 4 million Americans had money invested on Wall Street. 90% of American households owned precisely zero shares of stock. President Herbert Hoover quickly addressed the nation, professing his faith in the soundness of the American economy. But soothing words were clearly not enough to stop the shrinking of a deeply flawed national economic system. The stock market crash had many short-term consequences. Banks that improvidently lent money to futures traders to buy stock on margin found that many of those loans would go unpaid. Consequently, a rash of bank failures swept the nation. This had a tremendous ripple effect on the economy. If a working-class family was unfortunate enough to have their savings held in trust by a failed bank — too bad for them, all their money was lost. As Americans saw banks close and savings disappear, less money was spent on goods and services. Many consumers who had bought the new conveniences of the Golden Twenties on the installment plan were unable to make their payments. Businesses began to lay off workers to offset new losses. Many manufacturers had overproduced and created huge inventories. During the 1930s, photographer Imogen Cunningham documented the lives of the destitute of Oakland, California. This print is entitled "Under the Queensborough Bridge." Unemployment brought even less savings and spending, and the economy slowed yet another notch. The downward spiral continued into 1933. The $87 billion 1929 New York Stock Exchange was worth a mere $15 billion in 1932. Unemployment rose from 1.5 million Americans in 1929 to a debilitating 12 million in 1932. Despair swept the nation. In addition to the nationwide 25% unemployment rate, many laborers were forced to choose between wage cuts and a pink slip. Most people who retained their jobs saw their incomes shrink by a third. Soup kitchens and charity lines, previously unknown to the middle class, were unable to meet the growing demand for food. Desperate for income, thousands performed odd jobs from taking in laundry to collecting and selling apples on the street. College professors in New York City drove taxicabs to make ends meet. Citizens of Washington State lit forest fires in the hopes of earning a few bucks extinguishing them. Millions of backyard gardens were cultivated to grow vegetables. 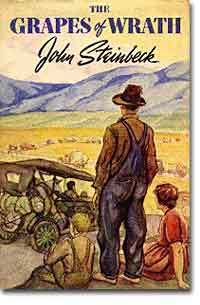 First published in 1939, John Steinbeck's novel The Grapes of Wrath told of the Joad family's loss of their Oklahoma tenant farm and the hardships they encountered while trying to reach California and start anew. Americans prowled landfills waiting for the next load of refuse to arrive in the hopes of finding a few table scraps among the trash. The strife was uneven across the land. Oklahoma was particularly hard hit, as a drought brought dry winds, kicking up a "Dust Bowl" that forced thousands to migrate westward. African Americans endured unemployment rates of nearly twice the white communities, as African American workers were often the last hired and the first fired. Mexican Americans in California were offered free one-way trips back to Mexico to decrease job competition in the state. The Latino population of the American Southwest sharply decreased throughout the decade, as ethnic violence increased. As the days and weeks of the Great Depression turned into months and years, Americans began to organize their discontent. The whiplash triggered by the stock market crash was global — workers from all over the world felt it. At this companion site to a PBS documentary on the Depression, you can read and listen to personal accounts of those years from a Swedish immigrant and a Chilean mineworker. Includes some very nice photos and several links for further study. As if the Depression weren't enough, a massive drought hit the southern plains in 1931. The drought would last 8 years, and bring misery and dust to thousands of families. Through oral histories, biographies, photos, timelines, sound bites, and maps, this impressive companion site to a PBS documentary successfully captures the tragedy of the dust bowl. Spend some time here — this megasite has a lot to offer. Click on this link and you'll first be presented with a few automatically loading Great Depression pictures and then shuttled to the introduction of this University of Virginia website. 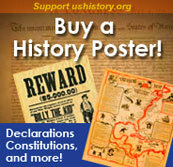 Continue your virtual trek for a look at how America and other countries reacted to the Depression. Rife with pictures, audio clips and a timeline, this site thoroughly addresses all phases of the crisis. Before the Great Depression, the Beuscher family of Dubuque, Iowa, had a home, life insurance, and some savings. 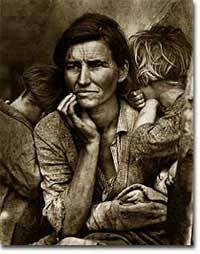 But by the time they were interviewed by the WPA in 1937, their lives had changed dramatically.